Weeds are a never ending battle it seems. No matter what you do, put down cloth, bark, rock, a weed will find a way to defy your effort. Is there a way to enjoy removing weeds by chance? Well there just might be with a surprise from Diana. Many use RoundUp or something similar to spray weeds. In order to minimize chemical use, Diana found an alternative. 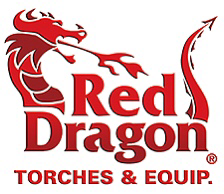 Enter the Red Dragon VT Mini Torch. It is a long tube hooked to a propane tank. Using a stricker you start a blue flame and away you burn. I will of course be very careful and have things in place, according to the manual and more, to insure it is done effectively and safely. I will post the results!